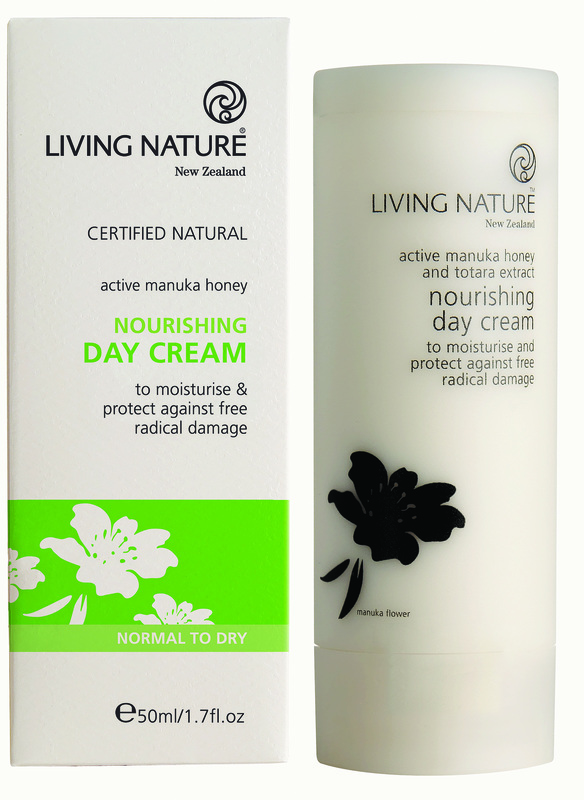 Living Nature’s certified natural Nourishing Day Cream, which is nutrient-rich and extra nourishing. It’s suitable for normal and dry skin, but as it’s fairly heavy in texture, so it really feels good if you need that extra boost. Its hero ingredient is anti-bacterial active Manuka Honey, which is healing and protective, and it also contains Totara extract – rich in anti-oxidants. The cream has an earthy scent to it and is quickly absorbed into the skin, giving you a natural brightness after application. To use, you apply it once a day generously on your face and neck, after your cleansing and toning routine and enjoy the benefits! It’s a beautiful product, and – as with the rest of the Living Nature range – it contains only certified natural preservatives, fragrances and ingredients. The brand is also listed as one of the safest skin care range on Skin Deep Cosmetic Safety Database, which is quite a good indication of its gentle yet effective performance. About the brand…”Living Nature is New Zealand’s original, certified natural skincare company, founded in 1987 by Suzanne Hall, who was inspired by the healing properties of New Zealand native plants to remedy her own skin conditions”. This entry was posted in Face cream, Facials, luxury, Wellbeing and tagged certified natural, Face cream, Living Nature, Manuka Honey, Nourishing Day Cream, Totara Extract. Bookmark the permalink.